Training management system software is used by training companies and learning and development (L&D) departments to streamline training operations. These solutions help users design, organize, scale, and maintain training programs. Training management systems often provide solutions for all learning professionals (including training companies and L&D departments) that schedule, track, and assess training efforts while overseeing employee training progress and certifications. Training management solutions also deliver tools that help training companies create and sell training courses and events. Additionally, these solutions provide L&D departments with training resources, program budget monitoring, employee performance tracking, and so on. Software for training companies and L&D departments should not be confused with corporate LMS software, which helps companies manage employee training efforts and assign courses created using course authoring software. In addition, training management systems may be integrated with CRM software, CMS tools, and video conferencing software, among others. Some training management tools also provide event management solutions, e-commerce platforms, and corporate LMS tools to administer all training efforts. Training Management System reviews by real, verified users. Find unbiased ratings on user satisfaction, features, and price based on the most reviews available anywhere. 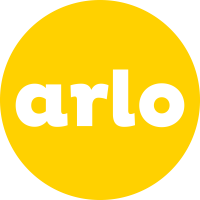 Arlo is a cloud-based training management system for managing, marketing and delivering physical and online training. It provides streamlined event scheduling, online registrations, invoicing and receipting, runs marketing activities, and manages client records and relationships. 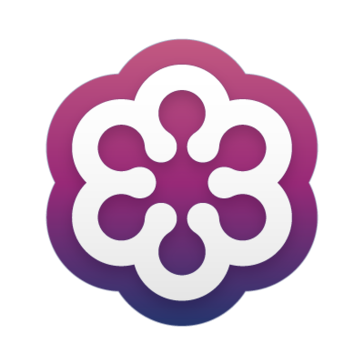 The service can be rapidly deployed and seamlessly integrated within your website and connected with your other business applications. EnterpriseAxis HR Information System is designed for companies of any size. It contains modules for public presence, recruiting, reporting, human resources administration, onboarding/offboarding, training/licenses/certifications, employee document distribution, payroll distribution, employee self service, skills testing, and marketing. All of these highly configurable features are tied together with strong data security. Payroll is performed through integration with QuickBooks Desktop, and timekeeping is performed through integration with Journyx Timesheets or TSheets. Additional integrations include IBM Talent Assessments, Indeed, ZipRecruiter, Microsoft Active Directory, and Microsoft SharePoint. We also integrate with additional systems as requested. accessplanit training management software gets your entire business rowing in the same direction, centralises your training operations and has the tools for you to delight, retain and expand your customer base. Functionality: Course Management, Resource Management, Task Management, Automated Communications, Online Booking & Payment, Reporting, Finance & Invoicing, Learner Management, and Sales & Marketing. Suitable for training teams whether you deliver 100s or 1000s of courses. Administrate is a cloud delivered, Software-as-a-Service (SaaS) Training Management System (TMS) and Learning Management System (LMS). Our solution helps training companies manage the entire process of delivering training. We currently serve nearly 300 customers spanning 6 continents and have helped deliver education to more than 2.5 million students. TrackWise software by Sparta Systems is an enterprise quality management solution (EQMS) that optimizes quality, ensures compliance, reduces risk, and lowers costs for world-class clients across a range of industries. Commonly known as QMS software, TrackWise software is the only enterprise quality management solution that offers the flexibility and configurability to adapt to company-specific requirements and business processes, enabling our clients to define, track, manage, and report on the core activities vital to their success. Accredible is the new digital credential standard for the online learning age. ADOPT is a change management software that is a tool for creating, managing, and distributing training content as well as tracking adoption of new techNologies. Ammon involves good customer relations, marketing reminders, management of training courses, businesses and purchases, management of co-workers' folders, intranet, training plan, embedded document management, dematerialisation of files and customized documents database. ARMATURE Fabric for Accreditors is a accreditation management software that can be configured to fit specific accreditation and certification workflows, with No programming required. it helps to set up audits that test compliance against standards. Training management software from AssurX ensures your personnel are always effectively prepared for the job, all training is properly documented and histories are accessible, auditable and correctly reported, when necessary, to meet quality management and regulatory compliance requirements. Take charge of all training requirements, activities, materials/courses and histories throughout your organization. ATUM-LMS is state-of-the-art Learning management tool used to host, assign and track computer based learning.ATUM-LMS includes Training Management System (TMS) module which brings efficiency into instructor-led training/classroom training. Beetsol offers a training management system that can be used to train both employees and customers. It is designed to be easy to use, flexible, powerful, and fully customizable. Competency and credentialing management system that provides a framework and easy implementation of employee competencies. Replicates organizational structure by location, role, department, and more, and allows for multiple completion methods of each competency such as witnessing, approvals, and traditional LMS techniques. Track and store all credentials. Identify learning/development pathways, stay compliant to ISO and OSHA standards, manage risk, and improve efficiency across the enterprise. To request a demo, visit cabem.com/tt/?utm_source=ppc&utm_campaign=g2 or email sales@cabem.com. The Certemy ecosystem is designed to provide a centralized platform to support the certification process. Certemy's cohesive certification ecosystem improves the experience of all the participants in the certification and licensing process, utilizing automation, robust management tools, and a curated continuing education marketplace. Classbyte is advanced CPR course management & automation software. CloudVOTE is a secure, interactive training management system for instructor-led training and in-person, live events. For small and medium-sized companies that either provide or purchase coaching and are looking to take their practice to the next level. Increase visibility into your workforce's training and accreditations to limit liability, make more informed decisions and raise the focus of your mission, all in one organized system. GO1's Training Assist service makes organisational training easier by providing HR and L&D managers with access to a 24/7 training booking service. HR Pro is a web-based solution for the Human Resources department that allows management to set and manage employee objectives to core business objectives, tracks and manages training plans and requirements, manages employee evaluations, and maintains a complete record of job requirements and personal development plans. Train. Evaluate. Proceed with your day. Intelex Training Management software enables you drive effective employee training tracking and completion, empowering you to schedule and report on training with the click of a button. Interplay Learning's online, on-demand training catalog empowers your team to excel while on-the-job. ISOtrain will keep you in compliance with your corporate management and regulatory agencies' training requirements. A complete training data platform for AI. Transform Your Content and Training Into Revenue! MINDBOX VR SOLUTIONS ENHANCE EMPLOYEE PERFORMANCE AND CREATE REAL WORLD RESULTS. A new technology for coaches, mentors, authors, and trainers, allowing them to share their experiences and knowledge with the world in an interactive way. Our technology incorporates NLP-based learning, habit formation techniques, gamification, community support, and accountability into our platform. PeopleBookHR is an application based solution to manage human resources combined with a reporting mechanism. Human Capital Management Improving Minds, Advancing Organizations. Hi there! Can I help you find the best Training Management System solutions?